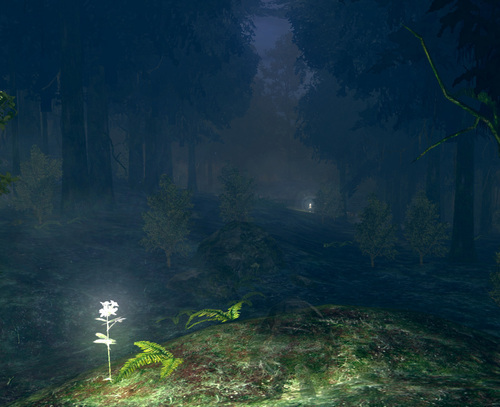 The lowest point of the Darkroot Garden, a deep basin filled with streams and waterfalls. The dampness of it has given rise to fungus and mushrooms. The waterfall feeds into a lake that is home to a hydra. In the adjacent valley lurk crystal golems, agents of Seath, that prowl the landscape for victims to capture and bring back to the Duke’s Archives. 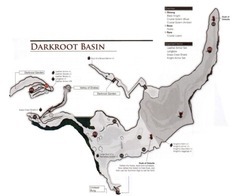 The Basin connects to Darkroot Garden, Undead Burg, Valley of Drakes, and Sanctuary Garden. There is a Hydra here, surrounded by Crystal Golems. The area is in some way connected to the Abyss that erupted in Oolacile as evidenced by the appearance of Dusk of Oolacile and a portal to Oolacile you can unlock. Some think Hydras spawning has something to do with the blood or corpses of the Ancient Dragons. 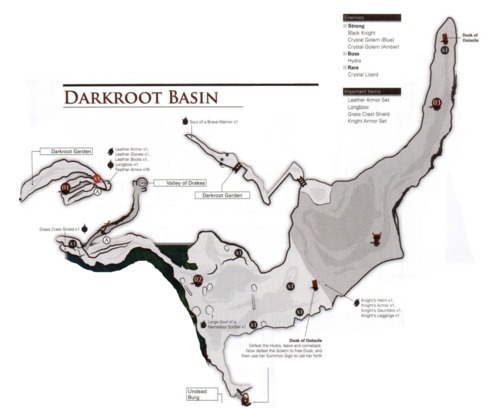 Similar to the hydra in Ash Lake, where many a dragon were defeated in the war with the Gods, the one in Darkroot Basin is possibly related to where Kalameet was defeated by the Chosen Undead. In support of this theory is the fact that Dragon Scale can be found on dead hydras, which is said to be "peeled from an ancient dragon".